"Did you see your little boys in the newspaper today??" Of course, our answer was, "uh, no. We've been a bit distracted." I had forgotten that a while back I had submitted several pictures to the paper as a way to acknowledge all of the love we had received from the boys' school this past school year with regard to raising money for a cure for Cystic Fibrosis. Bennett Gamel (left), 3, and his brother, Oliver, 5, hold a check from St. Paul’s Episcopal School for fundraisers during the school year. St. Paul’s Episcopal School students rallied around a current and former classmate during the school year to raise funds toward battling their disease. St. Paul’s student Bennett Gamel, 3, and former student Douglas Harriman, now an eighth-grader, have the genetic disease cystic fibrosis, which mainly affects the respiratory and digestive systems. There is no cure for cystic fibrosis, which kills 50 percent of those with the disease before age 37. St. Paul’s participated in a school fundraiser last year with a goal of raising $1,300. The students, who were touched by their classmate’s need, raised $1,400, said Bennett’s mother, Breck Gamel. 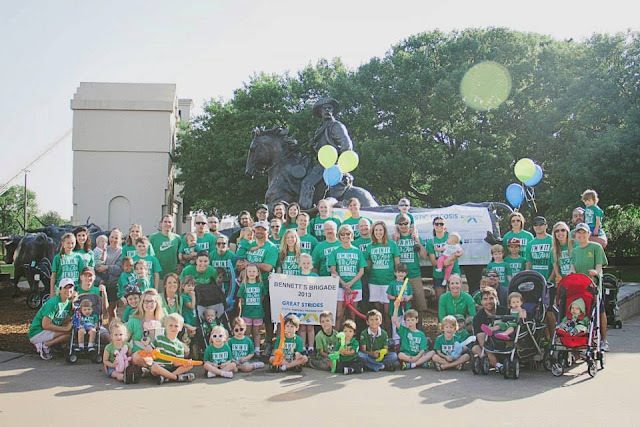 Those funds included a student-initiated lemonade stand at school that made $411 and another child-initiated s’mores and lemonade stand at Vitek’s that made $55. 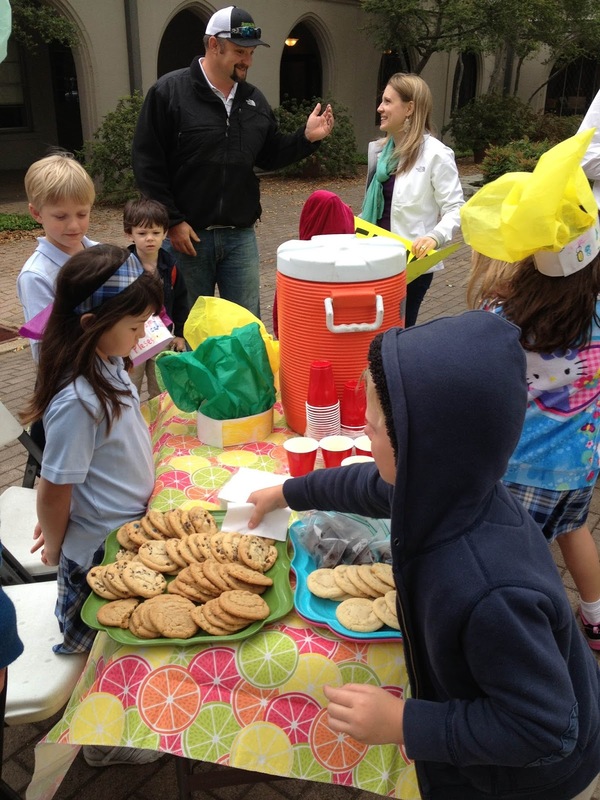 Photo submitted by Breck Gamel A cookie and lemonade stand at St. Paul's Episcopal School collected $411 for the Cystic Fibrosis Foundation. A Great Strides for Cystic Fibrosis Walk was held at Indian Spring Park in May. In all, more than $10,000 was raised for the Cystic Fibrosis Foundation in honor of Bennett this year, his mother said. A video about Bennett can be found by searching “Bennett’s Cystic Fibrosis Video 2013” on YouTube. His mother also keeps a blog at bennettgamel.blogspot.com. Information about the walk is at www.cff.org/Great_Strides/bennettsbrigade. Of course, newspapers are limited in space so the paper wasn't able to put in all the pictures I submitted or a ton of details about the student-initiated kindness that evolved from the St. Paul's children. So, I will post in the next post more about this story that wasn't included in the newspaper.